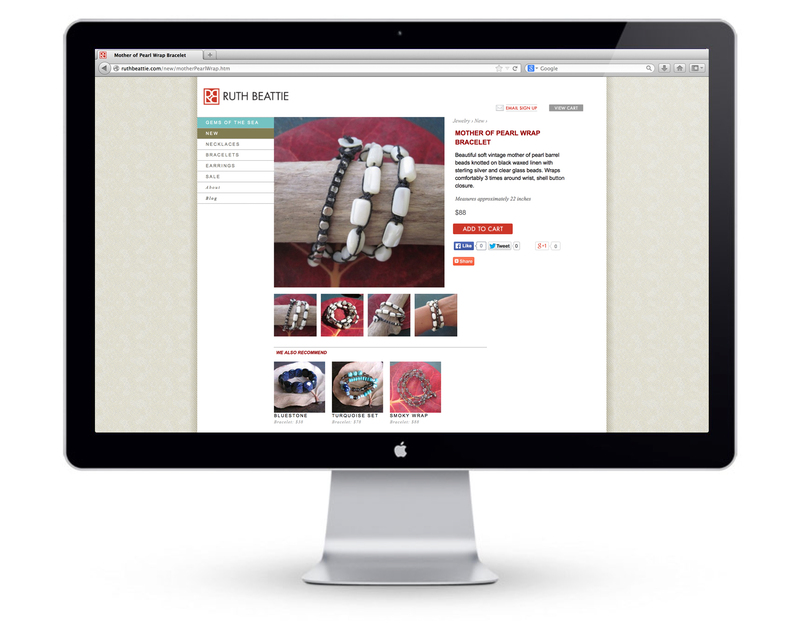 Ruth Beattie is Allison’s jewelry design company. 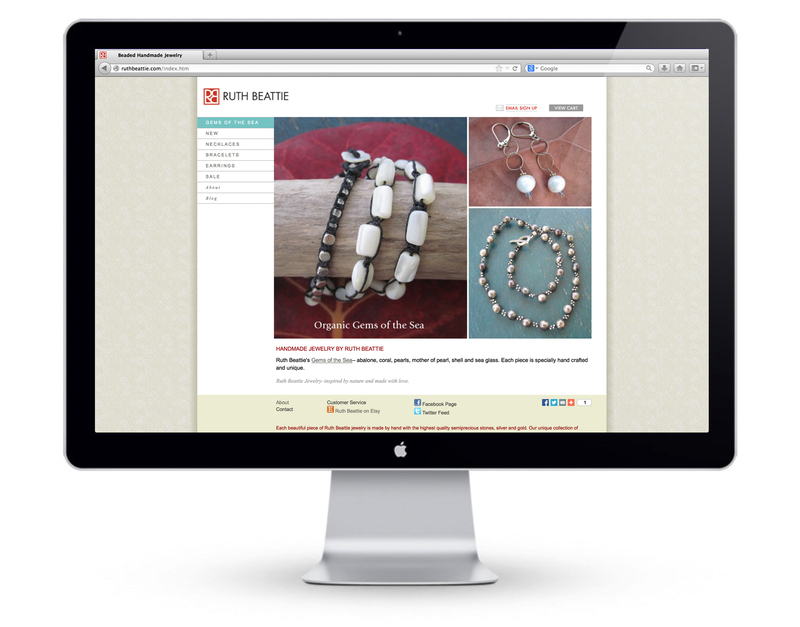 The Ruth Beattie website, designed in InDesign, is an e-commerce site with Paypal as the merchant services gateway. In addition to Allison’s jewelry design, she took the photographs, designed the logo, created the font layout, and programed the interface. 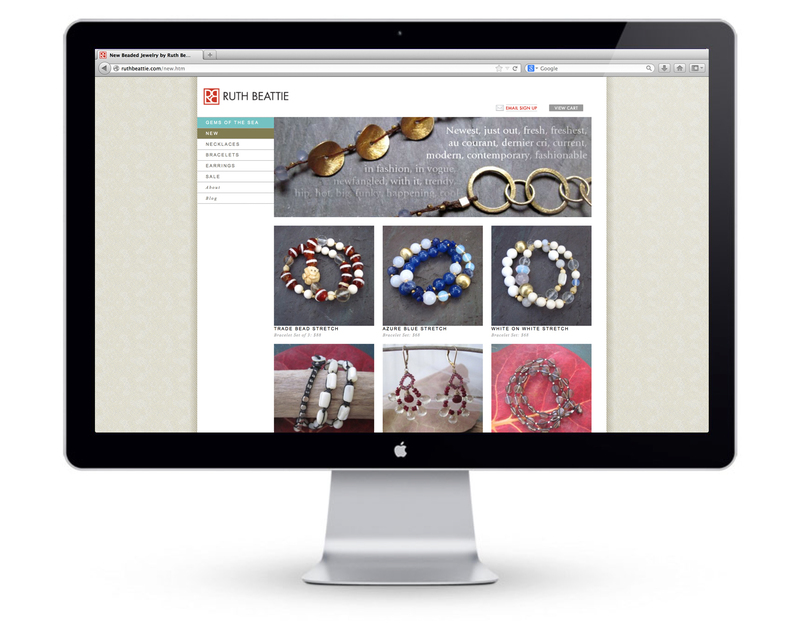 Ruth Beattie is branded across social media platforms Facebook, Twitter, as well as the online stores Etsy and OpenSky. In this case, it’s main outlet is the website, RuthBeattie.com.